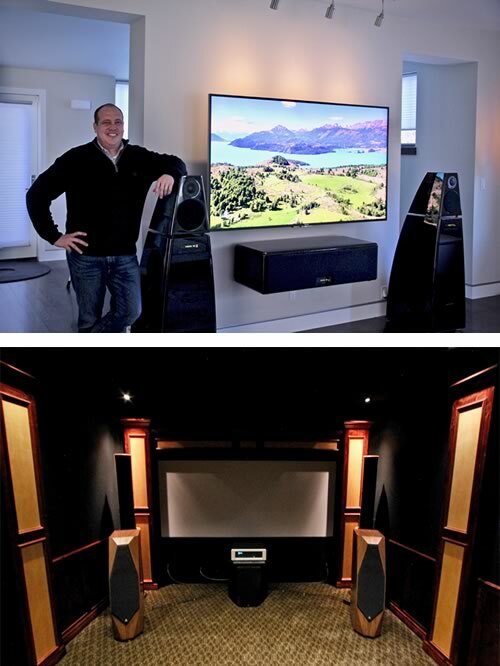 When you're ready for an unbelievable listening experience in a custom design/built Home Theater environment - HD Design Group's "Multipurpose Home Theater" solution is the absolute best way to roll. We can design and build a home entertainment area complete with bar, recreation room, custom lighting and complete with home theater and world class audio systems which will amaze you at the same time you enjoy a visually stunning visuals from your own Home Theater. HD Design Group performance solutions allow us to working your budgets to deliver the best quality and value of Home Theater experience possible. We provide an entirely custom solution including: room design, seating, lighting and state-of-the-art technology and electronics all customized to your needs and budget. Our process begins with listening. We listen and discover your needs and wants and how to best help you achieve them. Unlike our competition, we are design/build experts specializing in world class solutions. We also understand that room is the most important piece of equipment which means that handling and treating the physical acoustics of the room as well as, lighting, seating, electronics and speaker placement are all critical. We use only the finest state of the art electronics, audio and design products available. HD Design Group has over 20 years of design and construction experience and the know-how to transform almost any room into Home Theater which offers an unparalleled cinematic experience which is custom tailored to your style, tastes and needs. We do It all, from the Interior Design, Professional Acoustics Engineering, Electrical Design,Lighting/Dimming Control, and the complete construction management of both commercial & residential Cinema Projects. HD Design Group is Colorado’s and the Nations only complete Theater Design Center.